Progress elements can be usefull in alot of different situations. Showing them as loading indicators, using them as part of a task flow or for data visualization. Next we have to create a round border on the element with a variable circumference. Using a few tricks this can be achieved whith pure CSS. We need to halfs of a circle, a left side and a right side. If the progress is less than 50% we rotate the left side over the right side and give the left side the same color as the background. This allows us to hide the right side and show values from 0% to 50%. To show values above 50%. We chage the color of the left side to the color of the progress circle and do essentially the same thing as before only now we are extending the other circle from 50% to a 100%. See the Pen Pure CSS Progress Circle by LesterGallagher (@Afirus) on CodePen. 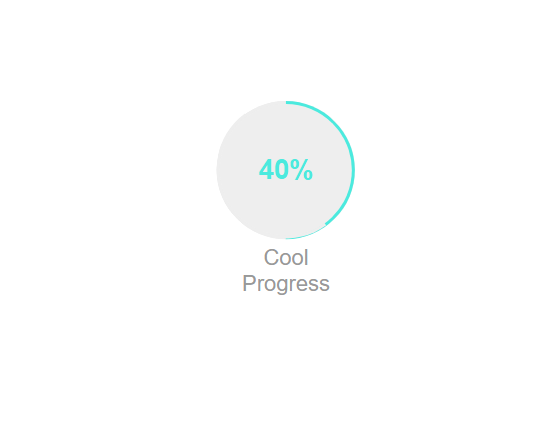 See the Pen Animated CSS Progress Circle by LesterGallagher (@Afirus) on CodePen. See the Pen Pie Progress CSS by LesterGallagher (@Afirus) on CodePen.